This video is a recording of a webinar hosted by AgencyBloc. In this video, John Hockaday discusses several areas of concern when preparing to sell your insurance agency or book of business. 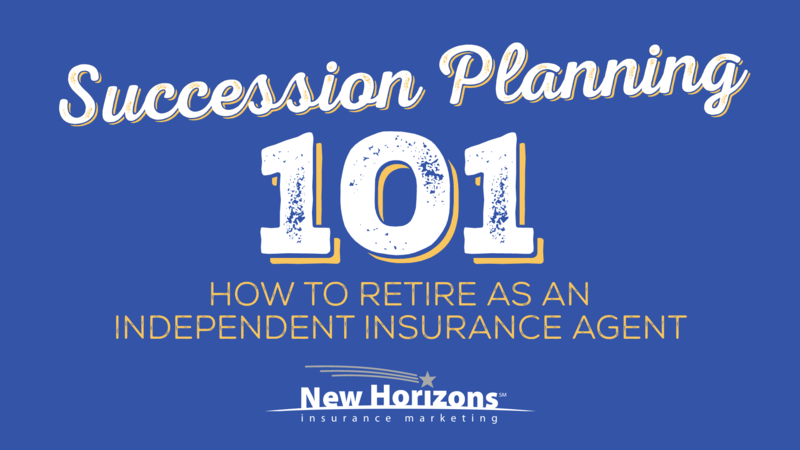 You can read our full Succession Planning 101 article here. Welcome to our webinar today, Succession Planning 101: How to Retire as an Independent Insurance Agent. My name is Allison Babberl and I'm the Marketing Content Specialist here at AgencyBloc, an agency management system designed specifically for the life and health insurance industry. Today I'm joined with my friend John Hockaday. 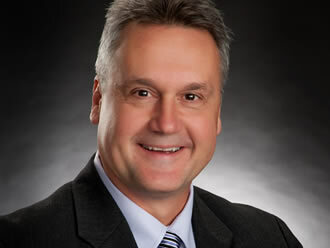 John is the CEO and principal of New Horizons Insurance Marketing, an FMO based in Decatur, Illinois. John will be sharing with you his tips and tricks he's picked up along the way, about preparing your book of business for your eventual retirement. Thank you Allison and thank you everybody for listening in. I'm John and looking forward to spend a little time here together with you. I'm looking here at our first bullet, In business since 1981 and that's not right, I got into this business in 1979 and Allison was telling me here just a little bit ago that there's somebody listening in that maybe has me beat, so good for you! It's not a contest, and I don't know where the 40 years has gone but it's been a great ride and we're still riding. New Horizons and Sams/Hockaday - those are our two businesses so just a little bit about that just to kind of get us all on the same page here, Sams/Hockaday & Associates is a career business, captive career senior business. Jeff Sams, my business partner and I have been in business since 1981 and we started Sams/Hockaday in the mid 80s, '85 or '86. We still still have it, it's still here in our building, and I have one agent that's been with us since 1985, so a long, long time that some of them have been with us and that business is still going great. Then in the early 90s we spun into an FMO/wholesaling business, and we named it New Horizons Insurance Marketing. It was just kind of a natural outflow, we had an agency that was doing well, and we made a lot of relationships in the senior market with carriers and so one step led to the other. In the last 20-plus years, 25 years or so, most of our time has been spent on the New Horizons side and and working with agents and agencies that are out there in the senior market. So that's a little bit about us. If I can have something more basic than 101 that's what I would put up there. Man I am for sure not an expert in succession planning but I'll tell you what I feel like we can talk about today. In the last 8 months we have bought two agencies, so I'm going to talk a little bit about that and how that played out. Jeff and I are the same age, we're both going to be 59, both of our boys are in the business with us and we're in the middle of trying to figure out our own succession plan. Our first choice would be to pass it on to the boys and everybody that works here to continue on down the road when we're ready to retire, so I'm going to talk a little bit about that and then we also have two other agencies in the loop right now that we've met with, and that most likely I think we’ll end up getting a hold of them too, probably in the next four or five months. If I had to give you guys a question of the day, I'd say “what's your plan?” I don't know if you're like me but just the word plan almost strikes terror to my heart. I'm a terrible planner, it just does not come easy for me at all. I feel like I'm a salesman at heart, you know, that's really where my strengths are I think the planning is for sure not one of them but this is about succession planning and and I think that's the that's the important word there, is that you've got to buckle down and decide that you're gonna make a plan. I don't think this quote is original with me, but it goes: “A good plan today is better than a perfect plan tomorrow” and I think there's a lot of wisdom in that. I think so many things in life we think that we have to be an expert at it or we have to have all the things figured out before we take the next step, and you know what ends up happening is we don't take that next step, so my hope for all of you guys today if you're kind of in that time in your life where you're beginning to think about this process, is that you begin taking the steps - whatever that is - for you to make this happen (me included). We have three options I thought we focus on. The first one is if you are fortunate enough to have kids in the business, or maybe it's family, or maybe it's really a close association, but your goal would be to move this business on down to either your kids or somebody that's really close to you, somebody that's in your organization. The other one, which I think is easier, is if you're an agent that's built up a beautiful business, like so many of our agents do out there, and it's the time in your life where you're ready to move on, you think it's time to take the next step and you want to retire or do something different in your career, that you just want to sell out. The third one is the one that I think is the worst but it's the one that that so many people do, and and they just don't do anything, and I just call that “fizzling out”. A lot of guys will do that, you know they're in the business senior market specifically, they've had a wonderful run, a wonderful career, maybe they've got some age on them now and they've kind of lost the passion for it and yet they haven't made any kind of a plan, and maybe their health has gotten poor and they're just kind of riding the business down. Let's go over the first one – pass it on to your kids. Here are just a few thoughts, I don't have anything to back up why it only only works for 10% of agents I think that's probably right. You know it just makes common sense that some of us don't have kids, or if we have kids they’re in the business, or maybe even if they're in our business they really just don't have the personality trait that they want to take over mom or dad's business. Whether they’re in the business or not right now, I think that it’s imperative that if it is going to work out where you're moving it on to your kids, that they're in the business, they're earning their stripes, they're paying their dues, they're learning it from the inside out, so that's another consideration. A consideration for us as the owners is that most of the time if this is the route that you're going you have to be good with the fact that you're going to be the bank. In other words, if you sell to your family or to your child, he's not going to be able to write you a check for that business most likely, so you both have got to be on the same page on how it's going to go and you're going to have to be the one that sponsors him or finances it for the length of the sale. Talking about Jeff and I specifically, kind of a little snapshot of us is we both have our boys in the business here. Jeff’s son Michael has been with us 12 years and is doing a fantastic job. He runs our career shop now, he is an outstanding producer, I mean really one of the best producers we have in all of our organization, so he's a terrific producer and he's a terrific trainer. Those are really his two gifts. My son Luke has been in it now seven or eight years. Luke also has his own book of business, is a great salesperson and his skill set is he is an includer, so he really relates well to agents. They can tell that he's been in the field and they both bring different skill sets to the table so with those two things right there we feel like we have a really good chance to succeed in this by passing it on to our kids, because they've both been in this business a long time. They're very good friends and they kind of bring different skill sets to the table. Here's what we've done so far - we have had our business valuated by an outside firm. Now this probably isn't necessary for everybody but since we're an FMO, maybe a little bit larger organization than some of you out there, we went to a local guy who's known in our area here in Central Illinois as being really the go-to person to help with succession plans, and he's already done the valuation on our books of business. We have an appointment with him, the four of us, to sit down and begin that process. Maybe more than what you need right here but I guess the point I'm trying to make is that we felt this is such an important decision and it's a big decision for all of us. We need somebody almost as a mediator. There’s nothing I think that we're going to fight over or anything like that but we want to be so fair to our kids and generous, but at the same time we want to make sure that Jeff and I are protected. You know, I think there may be two extremes when you're talking about passing on the business. You have some that are maybe clear to the left and say “Hey I'm just giving this business to my kids”. We're certainly not doing that. Then you have the other side clear the other end of the spectrum where the owner might say “You know what, I've had this evaluated, and I know what I can get for it out on the open market, and if my kids are going to get it they're going to have to pay the exact same price, like the best price I can get”. Well we’re not going to do that either, we're going to fall somewhere in the middle, but we all need counsel on this for us to move forward. I would say when it comes to passing on to your kids it really is a smart idea to sit down with somebody that really understands that side of the business, understands succession. Probably it's going to be an accountant, you probably don't need an attorney involved yet but let them help you in this process. Another example here, this has happened here just in the last 60 days I'm not using any names here but these are all real life people. I've got a really sweet agent in Indiana who's been doing business with us for years and years she has a daughter and a granddaughter that lives in that same town and it would be her dream for her daughter and granddaughter to take over her book of business. She called me probably 60 days ago and all three of them came over to spend a day with us because we're their FMO and she wants her kids to continue on with us and that's sweet! But she asked “how do we do this?” and we discussed some of the things that she's up against. They're all for it but they're not even in the business yet, they both have great careers, they're both successful, they both want to do it, and they are taking the steps. They both have gotten licensed now, but you can see it's still a long way from happening and they're not in any hurry but these things take time, they just do not happen overnight. So my hat’s off to them, they're taking the steps necessary. I got a note from the granddaughter, a real nice note thanking us for spending the time with them. It said if you had one comment to make on us, on what their biggest concern will be about doing all this or what's going to be their biggest hurdle I guess was the way that she framed it. What I said was “it's your fear!”. They are both so bright and their grandma has built such a beautiful business. Well it's going to work, but like so many things in life we don't do it, we don't take the next step, we don't start the plan, because we're afraid. We've just done two of these in the last few months. The first one that we did is with an agent in northern Indiana, who has been with us for a long time, probably 15 years. I got a really tough phone call from him last May, and he said “John, I just got terrible news, I've got terminal cancer, I know I don't have that long to live.” They gave him 24 months at that time, and he said would you guys consider buying my book from me and we said absolutely. We'd never done it before so that was really our first go at this, and he lives four hours away from our office here. We spent a lot of time sitting down with him and just kind of figuring this out how we're going to do it but thankfully we did it. January 1 is when the whole deal consummated. We paid in cash for his book, I'm gonna talk a little bit more about that in detail later, and then he passed away at the beginning of March. He was only 57 years old too, really a young man but the point is that was the that was the thing that sprung him forward obviously it was it was critical that he had to make a plan, he had to get busy on this and figure something out for his book. So thankfully that worked out. The valuation I'm gonna talk about that in a little bit. I think if I'm you guys and I've got a book of business that maybe represents most of my life's work, these are not just customers but they're really deep friendships. Probably a lot of you could say hey I've I've written this lady but I also had their mom and dad, and maybe if you're old like me you might even have their grandma or grandpa. That's how how crazy it can be, but the point is is that you care and you want to get the best deal, obviously the best valuation you can for your business, and you should, but right alongside of that, equally as important, is that whoever takes over this, you trust and you know that they're going to care for your customers, and that when you meet your customer at church or at the grocery store at the movies or at the bar, or wherever it is, they are not saying “my gosh Jack who are these guys you turned your business over to?” You know it can't happen. You care, so trusting who you do business with when it's that kind of a business and I think most of you would relate to that, it's almost as important. Physical location is important to you and and it's important to the buyer. What does your business model look like? For example let's say you live in a small town and you have an office there. Maybe it's in your home or maybe it's on the square or wherever it is, but you have a physical location and your customers have been conditioned and trained over the years, when they need something they just go to your office. Well if that's your setup most likely that's going to need to be your setup going forward, so you're probably going to need to sell to somebody local that's going to be able to continue that on. The one that we bought where the gentleman passed away, we are doing it all from here so we were able to reach out to his customers, communicate everything to them and really it has worked out beautifully. We didn't really know we were getting into, but honestly we have not lost any customers! I'm not just making that up it was a small book - he had 269 customers and every one of those customers have stuck with us so far, so we're really thankful for that, but he didn't have a shop where they were used to going somewhere, so you need to take that into consideration if you're selling your book if your business looks like that. If I was buying your business or we were here and that's kind of your setup I would be thinking well I'm gonna have to have a physical presence there too. I'm going to need to make sure that I have hired an employee there or have an agent there because it's going to need to look the same if your clients are used to that. I think most of the time that's going to be true, which is an added expense for the buyer, and all that stuff is going to have to be taken into consideration. That's where I would start for two main reasons; number one is and this is probably the biggest one, is you guys should already trust each other and you've already solved that piece of it that you know this guy's an honest guy and you know that he's going to do what he says he's going to do, and if he says he's going to do it and take care of your customers you believe he's going to find a way to do it. That's number one, that I think that alleviates a ton of the worry and the whole process. The second piece is a money piece. He's already making money on your book right? So whenever you sell a med supp, a cancer policy, a life policy, annuity or whatever it is, that's how we make money on our side of the fence. When an agent out there writes a piece of business and you make your comp, we make a little sliver on top of that. So I can afford to give you a higher valuation because I’m already making a little on your books, and I want to keep it right? If you send it to another FMO, I might lose it so I don't want that to happen, so that is really important. The other thing to consider too is is we already have relationships with all those carriers so if you're writing with us, with Aetna and Mutual and Cigna and whoever it is, we're already in the loop with that carrier - it's easier for us, it just makes a lot of sense. I think the most natural place to start is to ask your FMO and say I'm thinking about doing this, it might not be for a year or two, three or four, but I'm just letting you know it's coming, and when it does is this something you would consider or do I need to be looking other places? You know maybe I need to be looking locally or I need to look someplace else. How is a book generally valued? The two that we bought so far we paid a multiple, and the multiple that we paid is two times commissions. We were pretty simple and straightforward on it, we evaluated the book, we knew who the customers were and all that stuff and where they were and what year they were in. Like did you just write this person last year or are they in their fifth or sixth year of a med supp effective date and anniversary date? Because you know in most states with med supps the comp drops off after six years if you don't don't rewrite it. Again we didn't really take any of that into consideration we just came in and said okay we know this guy, we know what kind of person he was, we know the relationship he had with his customers. He was already with us so we paid him two times his book upfront so it wasn't over time, and he needed it up front. The other one that bought we also used two times as a multiplier, and she was a career agent of ours at Sams/Hockaday. She'd worked with us for 23 years, so the right thing to do was to buy her book that she built here with us and so we're buying that back from her we're paying her two times over four years. So how is a book generally valued? It's a multiplier, so I'm going to touch on it a little bit more. I think that's pretty common knowledge I would say maybe the industry average is 1.5 or a little greater than 1.5, but I'm not even saying 2 necessarily has to be the top, it could be 2.25 or 2.5. It could be that in some instances, it depends on how you need the money. If you need the money up front and we're writing a contract that we're paying you that two times no matter if everybody quits us right now we're still obligated to pay you that two times. Or, if you say I don't need the money up front, I don't need a big check right now in one year, where I'm gonna be taxed heavy on it, I'd rather see it spread out over four or five or six years or something like that, then we can afford to pay a little more multiplier. The importance of a CRM - guys this is important and this is kind of a plug for AgencyBloc - we’ve used AgencyBloc for probably five years now, and they are great people to work with here right in the Midwest with us. I feel like their values are the same as ours, but it's amazing I think in the senior market especially, how many guys and gals have been in business for a long time, 25-30 years, and they still don’t have their business digitized. We can't have that, because we're already paying for them, so we have got to make sure that we catch up to your 20-30 years of knowing and caring for these people and communicating with you, and we have to do that fast! We have to be able to reach out to those people fast and effectively and consistently, and the only way we can do that is if your business is digitized. If it's in the CRM, so if you already bite the bullet it's going to help you, if you say there's no way I want to do that, I get it I probably might be the same way. But either way it's going to have to be done, especially if it's a business that's going to be serviced remotely, like we would prefer to do. How do I get the most from my book? Let's just think about this for a second - if you're selling your house, what do you do? Do you just do nothing, just put a sign in the yard? No, before you sell that house I bet you you do all the things that you should have been doing the last 3-4 years right? You're making it nice for the next guy, maybe you need to paint it, maybe you need to change the carpet, maybe there's some repairs. You want this house to be the best looking house that can possibly be, that way you're going to get the most money for your house. It's the same way with your book guys, if you've got customers that you know need to be updated you should update them before you sell. If you're med supp agent, that customer needs to be brought up to speed because as a buyer, I want a customer that's just bought a plan, in their first year and I know I can count on some revenue coming from that for a while, rather than get one that's in the sixth year and I know I’ve got to scamper and see if I can reposition that customer, right? It just makes sense, so to get the most for your book, dress it up, do the things that you know you need to do. What we're going to use as a valuation to come up with a multiplier is probably going to be your 1099. That’s what we’ve done on the two that we've bought. We're looking at what your income was for the last three years and on both of them what we used was their last year's income as the multiplier so you want this last year's income to be as big as it can be. That's going to help your valuation. We really like this business and this acquisition business and not that we can do just tons and tons of them. I think we'll be doing two more here in the pretty near future, but if if you know that your FMO is not an option and you'd like to visit with us about it, I mean if even it's just visiting, you know you don't want to do anything with us, we'll help you any way that we can, and share anything that we've got, so just just keep that in mind. But we'll raise our hand right now and say we're interested. When you're not communicating like you always have with your customers, when you're not reaching out and touching them like you once did, your customers don't want to leave you, they don't care about you like you care about them but they're getting put in a position where they're getting almost forced to look around. What happens if you pass away? A lot of us guys in this business are getting older, some of them in their 60s, 70s, 80s. It just it rolls out in a hurry. Here in our own office I told you we have our career shop and a lot of these guys have been with us 20 and 30 years. One of the guys that's here is in his mid-70s now, and his health hasn't been very good in the last 3-4 years. Honestly he hasn't done very much in production in that time. He's fortunate and we're fortunate that we've got a staff here that still takes care of his customers, but my point is it's not growing. He's not writing new stuff and in the senior market if you're not writing more that's at the front door, you're losing more out the back door. People get older, they pass away, they leave, things change. This number I'm going to give you these numbers are absolutely the truth. Two years ago I went and looked at what his income was. It had dropped significantly. It wasn’t very much, nowhere near what it was in his heyday. What shocked me was last year it dropped by 43%. This year so far, he's on track for another 25% decrease. So you can see why he's fortunate that we've got a staff to take care of us because they're still getting good service but the income is not there. If that kind of fits your description I’m sure not picking on you at all, it's just something you got to sort of buckle down and take a look at and try to make a plan. How do we pay? I touched on that already, but if we pay by one check or a buyer pays it all upfront your multiplier is going to be lower, and it should be because they have all the risk. I as a buyer have all the risk and I've given you all the money up front. The second one is probably the most common, where you say I don't need all this money up front, I'd rather have a spread out over time. That's really better for both of us, I don't have near as much risk, I don't have to put a big down stroke and I can pay it out over time to to you. But it's still a guarantee, we still decide upfront what that amount is going to be, and it's like a pension. You know exactly what you're going to get. The last one and the one that's the best for me - and probably not the best for you - is we pay it as earned, so I don't really have any risk and I can afford to pay a much higher multiplier because I'm going to pay you over time, just on what comes in the door. To me, you’ve got to have a lot of confidence in your buyer in that scenario, that he's gonna grow your book right. That model right there is probably the best for us and not the best for you, but those are the three three ways you get paid out. That quote from earlier was “A good plan today is better than a perfect plan tomorrow”. What should you do first? I think it's just to make that decision that you are going to make a plan and start taking the steps. If I can answer any questions or if you can you call me or Jeff anytime, we'll be glad to help any way that we can.